Aston Martin has revealed this video as a tribute for it’s 100 years of existence since it has been founded by Robert Bamford and Lionel Martin. It features some of the most iconic models and celebrities that contributed to the built of the brand’s long history, transforming it into the acclaimed make that it is today. Celebrating it’s 100th anniversary, Aston started by revealing the Centenary Edition Vanquish. It is a customized version of the already astonishing and gorgeous Vanquish. 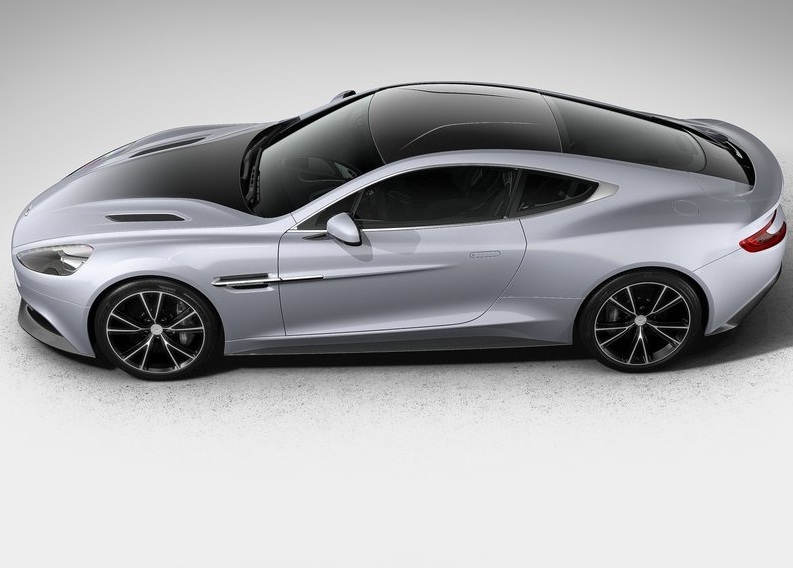 The engine power delivery is gonna be very similar to the regular Vanquish, 565 hp and 457 lb-ft of torque. The modifications are gonna be mainly aesthetic. The Centenary edition is gonna feature a special paint job like the one shown in the picture above and special leather seats with silver stitches, details that were reserved to the One-77 hypercar. Aston Martin is gonna produce 100 Centenary edition of the Vanquish, V8 Vantage, DB9 and Rapide. So I don’t really think we will be seeing any of these special edition models on the streets but damn they are gonna be gorgeous!! People who have booked for Centenary Edition will receive a free gift package, yes “free”, that includes two glass keys, two bespoke key pouches made from the same interior leather, solid silver cufflinks featuring the Aston Martin logo, solid silver Rollerball pen and high quality Bang & Olufsen headphones. Happy birthday Aston! !